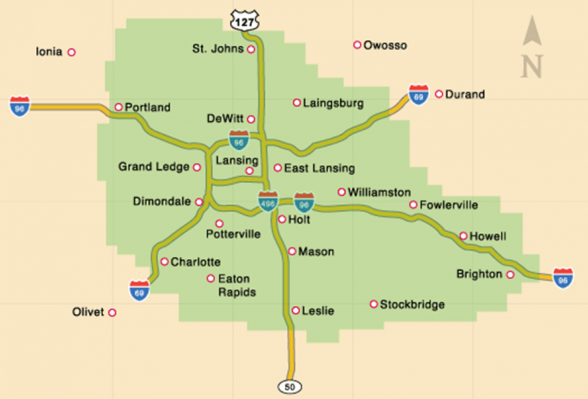 Here at Applegate Home Comfort, we’ve been providing mid-Michigan homeowners with furnace repair and related services since 1952. Considering the harsh winters Lansing is prone to, ensuring your home’s furnace is functioning properly is crucial to both home comfort and energy bills. If your furnace does have any issues, it could be increasing energy usage and ultimately adding to the natural wear and tear. While we can repair any issues when they do arise, it’s important for you as a homeowner to be fully aware of these issues and what to do when they occur. With this, let’s take at look a some common furnace issues as well as some warning signs for such. This way, you’ll know just what to do when your furnace encounters a problem, and you may even be able to prevent it! Due to the freezing temperatures and above-average snowfall during the winters in Lansing, the need for a well-working furnace is clear. But these weather conditions don’t only raise the need for a furnace, they also have quite the effect on it, as well as your home comfort. A malfunctioning furnace requires more energy usage to keep the home warm, which only increases energy bills each month. Fortunately, most furnace issues can be resolved before they lead to worse matters. High Energy Bills: When an issue causes your furnace to work harder to maintain a certain temperature, your energy bill will show it. If you’ve noticed a significant increase in energy usage, be sure to have your furnace inspected. Old Furnace: Though they’re built to last, furnaces will have issues. And the older the furnace gets, the more issues it may have. If your furnace is older than 25 years, you may need to consider purchasing a new one. Odd Noises: While furnaces are never silent, they shouldn’t be making any out-of-the-ordinary noises. If yours is, it could be an underlying issue and you’ll want to have it inspected promptly. If you feel your furnace is experiencing an issue, prevent others from arising and contact us today. You can also give us a call at 517-337-7700.